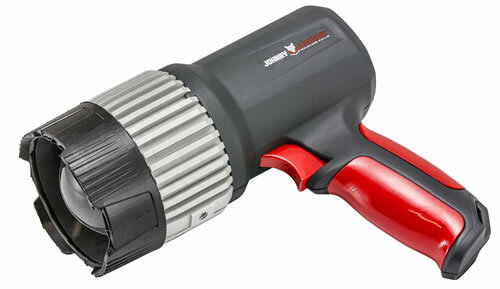 The Johnny Stewart Spotlight, has 900 lumens of multiple light color options for high visibility in the dead of night. True four-color light array changes at the push of a button - no lenses to change or lose. It has a weather and impact resistant construction and 8 hour rechargeable battery. Light colors include: white, red, green and blue.